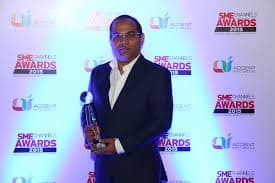 In a one on one with DQ Channels Jitendra Ghughal, Director, Channels- India & SAARC, Fortinet explains the company’s channel strategy for India. Explain about your partner program and how they are different? We have fourdifferent categories in our Fortinet Partner Program.–Partners fall under thePlatinum, Gold, Silver or Copper category; depending on their business and certification. In India, Fortinet has close to 1500 registered partners. We have a separate partner program for Managed Security Service Providers (MSSPs) and our MSSP partner program has two levels which are Platinum andGold. Our partner program empowers resellers with the tools, expertise, training and support to accelerate profitability, expand growth, increase market leadership and deliver the industry’s most advanced security services to their customers. Access to Fortinet’s developer network, official documentation, APIs, and tools originally developed for internal use to unlock advanced features and customization capabilities for Fortinet solutions. Support for marketing, sales and technical activities along with dedicated account management and access to Fortinet’s beta programs and invite-only events. What is your strategy for 2018 in terms of business? The Fortinet Security Fabric is an architectural approach to cybersecurity that provides comprehensive network protection without inhibiting business operations. The Security Fabric allows customers to deploy leading security solutions across their distributed environments that are designed to communicate with one another in order to detect, prevent, and respond to threats in a coordinated fashion, regardless of where they occur. This broad network of solutions extends from the network perimeter, with next-generation firewalls and endpoint protection, into the cloud, with application security, CASBs, and more, and deep into the core of the network through dynamic network segmentation and powerful data center security technologies. Each device that makes up the Fabric is also regularly updated with the latest threat intelligence from FortiGuardLabs, ensuring an automatic response the moment a threat or threat trend is detected. This comprehensive, intelligent security approach enables the network accessibility organizations need, and at the speeds they require, allowing genuine requests to pass through uninterrupted while stopping those that are suspicious. The Security Fabric is also highly scalable. This means that as enterprises’business and networks grow, their cybersecurity policies and protocols will grow with it. Additionally, the Fabric is designed to evolve alongside emerging networking trends. So as new approaches such as intent-based networking gain traction across enterprises, the Fabric promises to deliver intent-based security to complement and protect those advanced network architectures. What is the main focus area of Fortinet? From the beginning, Fortinet has always been focused on driving business with our partners. We have a mature partner program and an experienced sales team. We are already delivering value to our partners and their business beyond just what we sell. 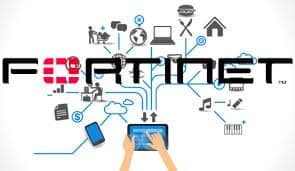 Fortinet is working to increase the value of our partners so we can become more important to their business and enable them to expand with the Fortinet Security Fabric. We want partners to build on the Fortinet Security Fabric to deliver their own value-added services, not just implementation services but also managed services that they can wrap around the Fabric. Fortinet will also look to help partners improve their profit margins,while the Security Fabric will help partners provide new services that build on Fortinet products. We are also looking at ways to help more partners move from a one-time sale relationship with their customers to one that creates long-term relationships. We want to help partners provide lifetime value to their customers. We will be launching more network security solutions to support our core firewall offerings and extend our Security Fabric. We will also be updating our FortiOS security operating system this year, and roll out new firewalls that continue to set record speeds in the industry. In addition, SD-WAN and Operational Technology (OT) security will be important areas of focus for Fortinet this year. Which are the cities in which Fortinet has made its presence? With our large partner network, Fortinet has a presence in most of the tier II cities. We have partners signed up from places like Goa, Kochi, Gorakhpur, Gaziabad, Jammu, Ajmerand many other small cities. The plan in 2018 is about better aligningour overall sales strategy to the Fortinet Security Fabric. We want to help partners look at the lifetime value of their customers and find ways to grow those relationships. “In 2018 we will be focusing more on the development of partners skills and business opportunities” 0 out of 5 based on 0 ratings. 0 user reviews.